Interesting. I would argue that the death rate is constant. Also note that the greatest bloodletting occurred after women got the right to vote. 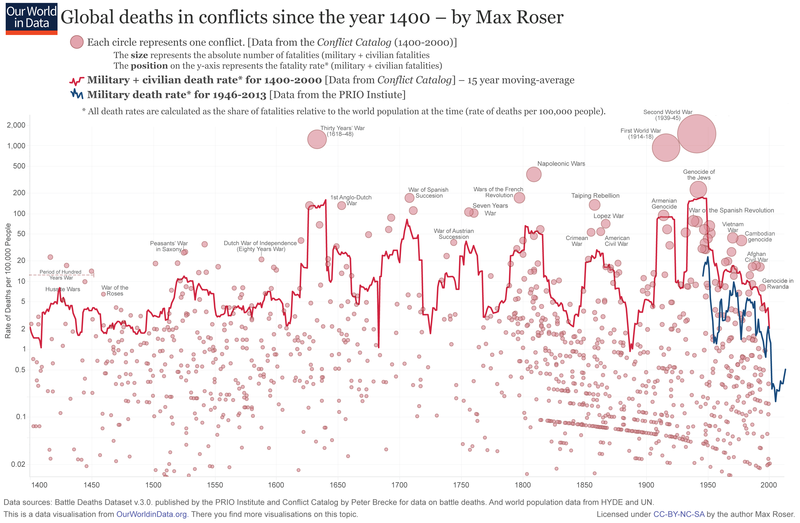 What accounts for the "streaks" on the right--are those extended conflicts winding down?